It’s been a momentous month for science, following the announcement that the CERN group have found the first hard evidence of the existence of the predicted Higgs boson. Finally we seem to be getting to the crux of what matter actually is, funded by sums of money that those of us involved in biodiversity, ecology and conservation research cannot conceive. The journalists have clearly enjoyed their role of demonstrating that they understand the highly technical concepts explicit within the Higgs quest. But why is it that some science writers seem to be able to “get” the most complex of theoretical physics yet struggle to understand what the environment is and why it is important to understand how it functions, its current state, and its preservation? In sharp contrast to the CERN coverage was a rather silly analysis by BBC correspondent Michael Easton. His piece concluded that the idea of the UK as a predominantly urban country is a “myth” because the UK National Ecosystem Assessment has found that “6.8% of the UK’s land area is now classified as urban” and further that “78.6% of urban areas is designated as natural rather than built”. Therefore, in Easton’s opinion, the proportion of the UK that is built upon is 2.27%, ergo, the rest is natural and everything’s ok. I’ve searched for both of those quotes in the document that he cites but can’t find them. But leaving aside sloppy scholarship that would shame a first year undergraduate, to focus purely on the directly urbanised fraction of this country ignores the fact that over 40% of the country is designated as “enclosed farmland” with much of the remainder devoted to agriculture of one form or another. That agriculture supports the urban population, of course, and so the urban “footprint” extends far beyond the physical infrastructure of our towns and cities. Easton’s analysis assumes that because it’s green, it’s natural. Which ignores the fact that the majority of our “green and pleasant land” supports only a limited biodiversity. The notion of what is “natural” is a complex one and can’t simply be equated to attractive landscapes with lots of trees and green fields. That’s no more “natural” than an aesthetically pleasing painting; both are human constructs and both reflect human interpretations of the world. The problem with these kinds of ad hoc analyses by journalists is that people who read them assume it’s based on solid evidence and that the writer knows what they are talking about. In this case, the statistics have been spun to suggest that that we should not worry so much about the UK’s environment because only about 2% is urbanised. Urbanisation is not the biggest threat to biodiversity by any means and in fact urban environments can support greater levels of biodiversity than “countryside”. It was therefore nice to see the publication of a perfectly timed study by David Tilman and colleagues showing that biodiversity loss has a greater impact on how ecosystems function, in terms of productivity, than other factors such as nitrogen deposition, drought, increased carbon dioxide, fire, etc. This is mega-ecological research at CERN-like scales involving thousands of measurements in 11 long-term studies, some lasting over a decade. It’s the kind of science we require if we are to understand how the loss of biological diversity might affect the environment on which we depend. That’s perhaps stretching the point a little as Darwin’s interest in hummingbirds was limited – on its release the £10 note was originally criticised by Steve Jones as “there are no hummingbirds on the Galapagos Islands”. True, but it was the whole voyage which inspired Darwin’s ideas, not just his brief visit to that archipelago, and hummingbirds are to be found across mainland South America. Darwin certainly mentions seeing them in a couple of his Beagle notebooks, which are searchable online. The great man also had a strong interest in flowers and pollinators, so the images are more fitting than Steve Jones believes. 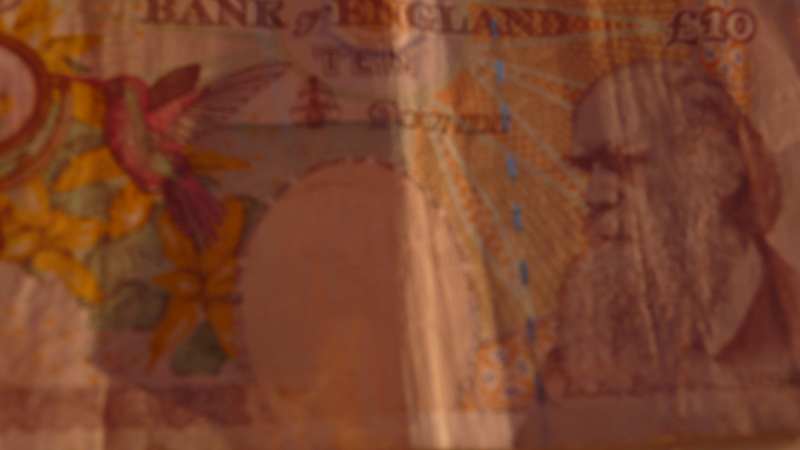 In any case, a “Darwin” quickly became British slang for a tenner and “Lend us a Darwin?” is a useful shorthand when borrowing money from friends. As a brilliant writer and explainer of complex ideas, Darwin was a science populariser long before the distinction was made. Many of his books were best sellers in their day and all were founded on solid data and examples gleaned from his contacts around the world. Current science writers could learn a lot from him.